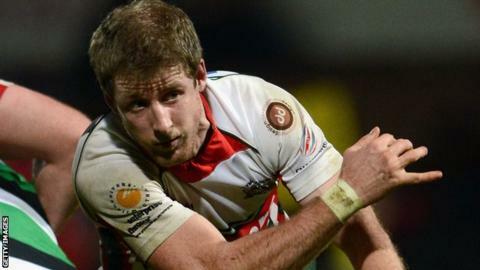 Plymouth Albion captain Ruairi Cushion is to join the coaching staff at the Championship club. The Irish scrum-half, 30, will focus on skills analysis and will expand boss James Shanahan's coaching team to four, alongside Rhys Oakley and James Owen. "I'm massively excited about my new role next year," Cushion said. "When Shanners asked me a couple of months ago if I would be interested in a coaching role with the team I jumped at the chance." Cushion has already been working with Plymouth College, as well as the Devon senior and under-20's sides. He has played more than 100 games for the club since making his debut as a substitute at Rotherham in the inaugural Championship season in September 2009. "With Ruairi is our most senior player and with all the connections he has made I believe he will make a good player/coach," said Shanahan. "As a skills analysis coach, Ruairi will bring extra attention to detail that will feed into sessions which could be whole team, small groups or even one on one. "Ruairi's main role next season will be as a coach and much of his work will be done after a training session has finished. His work next season will hopefully improve us as a team." And Cushion says that while he will be focusing on coaching, he will not hold back on trying to keep his place as the club's first-choice scrum-half. "I still feel I have a huge amount to offer the team and won't be holding back on pushing the other nines for the starting jersey each week."